Is there a better alternative to MediaType Converter? Is MediaType Converter really the best app in MP3 category? Will MediaType Converter work good on macOS 10.13.4? 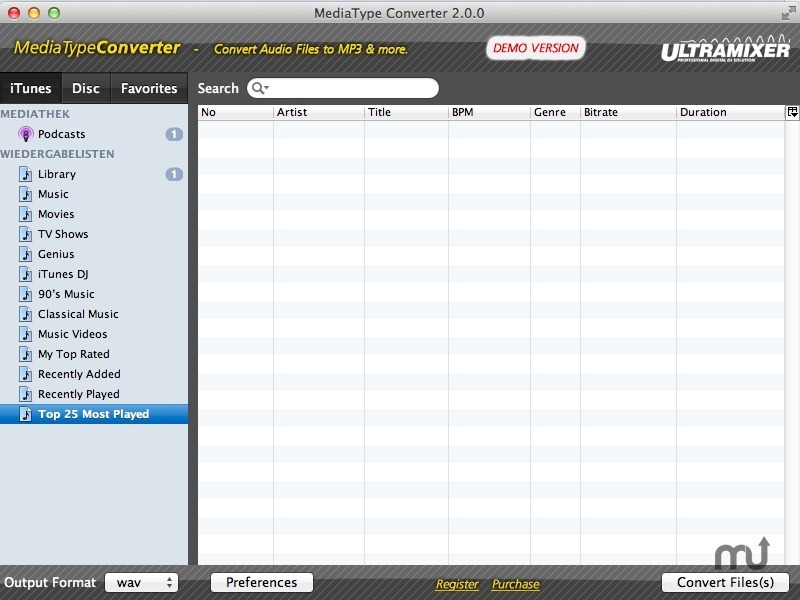 With MediaTyper Converter it's very fast and easy to rip CDs and convert your music from one format into another. Save your iTunes music as MP3 files in seconds, so every standard MP3-Player is able to play them back (it works only with non-drm files). Input Formats: MP3, WMA, AAC, M4A, OGG, WAV, CDA, AIFF, FLAC, MIDI, and more. Version 2.2.1: Release notes were unavailable when this listing was updated.